Heavy Consequence has premiered 'Book Of The Void' a new track with lyric video from dream-wave/post-punk entity, The Out Circuit. The track features guest vocals from Ryan Clark (of Demon Hunter) and will appear on the forthcoming full-length project, 'Enter The Ghost' to drop in vinyl and digital format via Swedish Columbia (El Huervo, Tanimura Midnight). 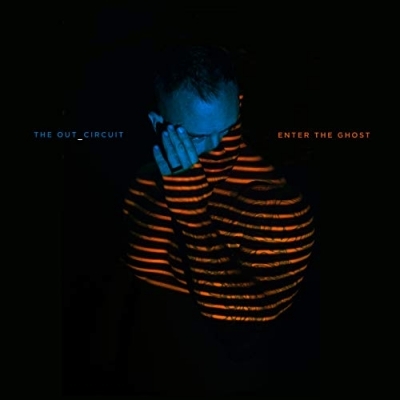 'Enter The Ghost' is the first new release from The Out Circuit in over a decade and is the solo musical vehicle of Nathan Burke who provides the electronics, instrumentation and the majority of the vocals. Read More Heavy Consequence has premiered 'Book Of The Void' a new track with lyric video from dream-wave/post-punk entity, The Out Circuit. The track features guest vocals from Ryan Clark (of Demon Hunter) and will appear on the forthcoming full-length project, 'Enter The Ghost' to drop in vinyl and digital format via Swedish Columbia (El Huervo, Tanimura Midnight). 'Enter The Ghost' is the first new release from The Out Circuit in over a decade and is the solo musical vehicle of Nathan Burke who provides the electronics, instrumentation and the majority of the vocals. Speaking on tapping Ryan Clark on this track Burke said "I first met Ryan in 1998 when I was in Frodus and we played with his band at the time, Training for Utopia. When I moved to Seattle in 2004 we reconnected and have stayed friends ever since including working on a project together that never fully came to life called Deathbed Atheist. Ryan has always struck me with great musical instincts in a variety of genres. Something we have in common is a love for Depeche Mode and when I made the instrumental for 'Book Of The Void' I knew his ability to carry a serious but melodic vocal tone would be fantastic!" On previous releases, The Out Circuit meshed the discordant punk angst with more gliding electronic textures. However on 'Enter The Ghost' Burke entirely delves into moody electronic-tinged pop and cinematic ambient sonic textures. Speaking on the theme of 'Enter The Ghost' Burke, revealed "when I was very young, Frodus did a tour of Japan that has taken on a level of mythology in my memory. It was at a point where musically we were at our apex and we were engulfed by this very otherworldly landscape where it seemed adventure could come from any corner. Unfortunately the illness of some loved one's around this time, made it impossible for us to continue on after that tour. I love my life currently, I love my career but I admit there has always been some part of me that has been trapped romanticizing the memories of that moment in time. This album really is me confronting the ghost of Japan that lives in my mind and the ghost of me that won't move on." Another weapon that Burke uses to the hilt on this release is his wife, Rachel Burke (also formerly of Beauty Pill) who provides melodic counter-points and vocal harmonies throughout the release. "I couldn't have finished this album without her. She listened to every demo (God bless her) and began to come up with these great additional parts for the tracks. It was funny though, she wouldn't let me be present when she added her parts, and so I would set her up to record in our home studio and go watch TV with our kids. Inevitably the recording software would glitch and she would text me to come re-boot the program."